MUNGWI district council in the Northern Province has suspended Patriotic Front (PF) Mfinshe ward councillor Anthony Mubanga from all council activities for six months as the row over councillors’ salaries deepen in the province. Council chairperson Gift Lwembe told the Sunday Nation yesterday that the decision to suspend Mr. Mubanga was arrived at during an extra-ordinary full council meeting on Friday evening at which 13 out of 14 councillors resolved that Mr. Mubanga be suspended for gross misconduct. Mr. Lwembe said Mr. Mubanga had embarrassed his fellow councillors by continuously issuing out statements to the media on a range of issues which was against the standing order to which all councillors must adhere. He said Mr. Mubanga’s suspension was with immediate effect from Wednesday, adding that he would have nothing to do with council matters until after six months because of his continued antagonism. “Yes, we have suspended Mr. Mubanga for six months and his suspension is with immediate effect from yesterday (Wednesday). Mr. Mubanga has been issuing out statements to the media when he is not allowed to do so and his fellow councillors were embarrassed that he was going against the standing order and decided that he should be suspended. “This was during an extra-ordinary council meeting held in the council chambers and therefore, Mr. Mubanga will not participate in any council matters until after his suspension is over,” Mr. Lwembe said. But when contacted for a comment, Mr. Mubanga said he was part of the council meeting that was called for on Wednesday but that no councillor debated his issue as it just came as an announcement that he had been suspended. He said he was yet to receive the suspension letter in order for him to understand the grounds on which such a decision was arrived at as he was in the dark over what offence he had committed for him to be suspended. He accused the national party leadership of having engineered his suspension, saying Mr. Lwembe himself said it in the full council meeting that PF secretary general Davies Mwila had put the council under pressure to suspend him for fighting for councillors’ salaries. “No councillor made a decision to suspend me. Mr. Lwembe just announced my suspension when councillors demanded for sitting allowances. He said there were no sitting allowances because it was an extra-ordinary full council meeting which was necessitated by Mr. Mwila who had instructed the council to suspend me. “Ask anyone who was in the meeting. They will tell you this. 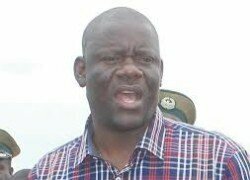 I personally asked the council chairman three times in the presence of the council secretary, Christopher Siyanga, to clarify what he had said about what Mr. Mwila told the council about me and when he saw that I was insisting, he told me that my question was out of order because the decision had already been arrived at,” Mr. Mubanga said.